STUFF HOT PEPPERS GOES IN HERE !!!! 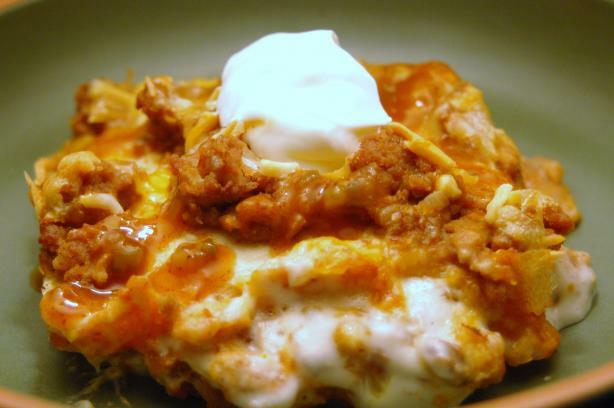 Only 4 ingredients, LOW CARB, and delicious!!! These are gone in 10 minutes at any get together I take them to... they are seriously that good. Preheat over 425. Cook sausage until browned. Set aside. 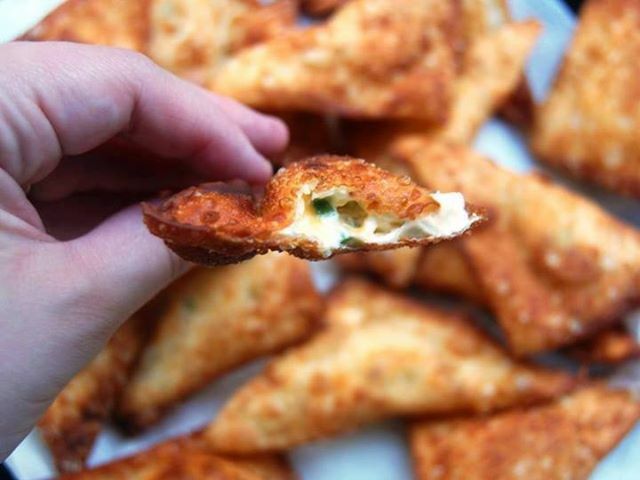 Mix cream cheese with Parmesan cheese. Add cooked sausage and mix well. Rinse jalapeños. Cut each jalapeño lengthwise and remove seeds. 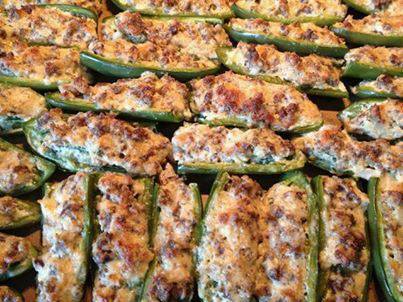 Stuff jalapeños with sausage mixture. Cook for 20 minutes until tops are golden brown (cook on a large baking pan). 1.Cook the hashbrown patties according to package directions. Mash with a fork and set aside. Bring a large pot of water to boil over high heat. Place the peppers in the boiling water and turn off the stove. After 10 minutes remove the peppers from the water and set aside. In a large skillet, cook beef over medium heat until meat is no longer pink; drain. 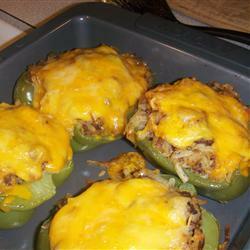 Mix in the hashbrowns, green beans, jalapeno, salt, pepper, cumin, and cheddar cheese. Loosely stuff the beef mixture into the peppers. Place peppers onto a baking sheet. Bake 20 minutes in a 350 degrees F (175 degrees C) oven. Let cool 1 minute before serving. SPLIT LENTHWISE REMOVE SEEDS , LEAVING STEM ATTACHED.RINSE. BEAT CREAM CHEESE UNTILL FLUFFY. BEAT IN CHEESE AND GREEN ONIONS.STUFF EACH PEPPER WITH PART OF THE CHEESE MIXTURE. ARRANGE ON HEAT PROOF SERVING PLACE AND BAKE AT 350 DEGREES FOR 10 MIN OR UNTILL CHEESE MELTS OR EAT RAW. TOP EACH WITH A PIMENTO STRIP IF DESIRED. Brown ground meat/turkey and onion; drain. Add taco seasoning and stir in refried beans. Mix soup and sour cream in a separate bowl. Tear up 3 tortillas and spread over sour cream mixture. Put 1/2 the meat bean mixture over that. Sprinkle cheese over the top and bake, uncovered, at 350°F for 20-30 minutes. 1. 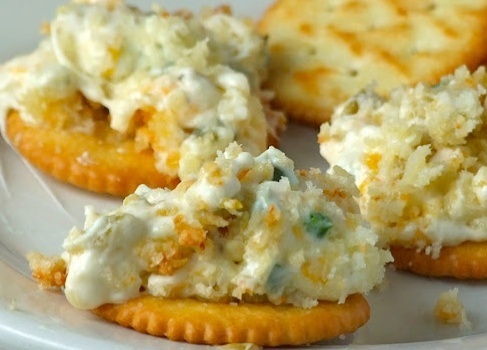 In a bowl, combine cream cheese, jalapenos, and cheddar cheese. Arrange wontons in a single layer on a baking sheet. 3. Fry wontons in batches in hot oil until browned and cripsy. Drain on paper towels and sprinkle with coarse salt. Serve warm. Preheat oven to 350 degrees. Line a baking sheet with parchment paper or spray it with cooking spray. Open can of crescent rolls and separate each roll along the perforation. Cut each triangle in half. 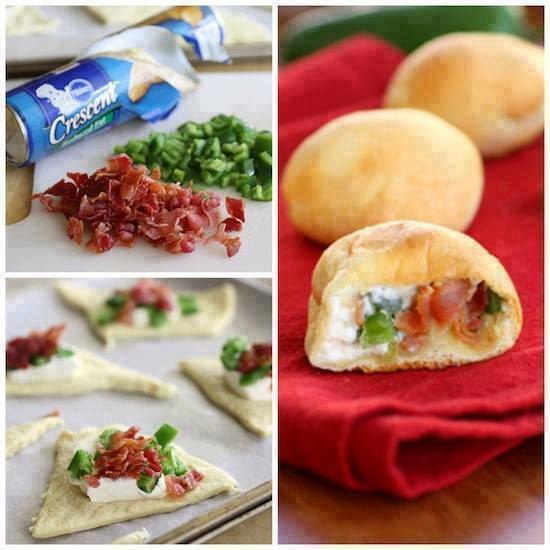 Place 1-2 teaspoons of cream cheese on each roll and top with a teaspoon of diced jalapeno and a teaspoon of crumbled bacon. Gather the edges of the dough up and pinch them together making sure all the filling is sealed inside. Place the ball of dough seam side down and bake for 11-14 minutes or until golden brown. Combine the first 6 ingredients in a mixer or food processor and blend until smooth. You do NOT need to drain the cans of chillies or jalapenos. Spread the dip into a greased casserole dish. I used a large pie plate. In a bowl, combine the panko breadcrumbs, Parmesan cheese and melted butter. in a preheated 375 degree oven for about 20 minutes. to be heated through and bubble gently on the edges. You do NOT want to over-bake this dip. The mayo will begin to separate and leave you with a greasy mess.